Synopsis: A million dollar Tycoon hires a tutor to teach his lover proper etiquette. Quotables: BILLIE: Would you do me a favour, Harry? Good lord! I’m not even halfway through my marathon yet, and I am beyond tired of the priggish chauvinists being presented as the protagonist. 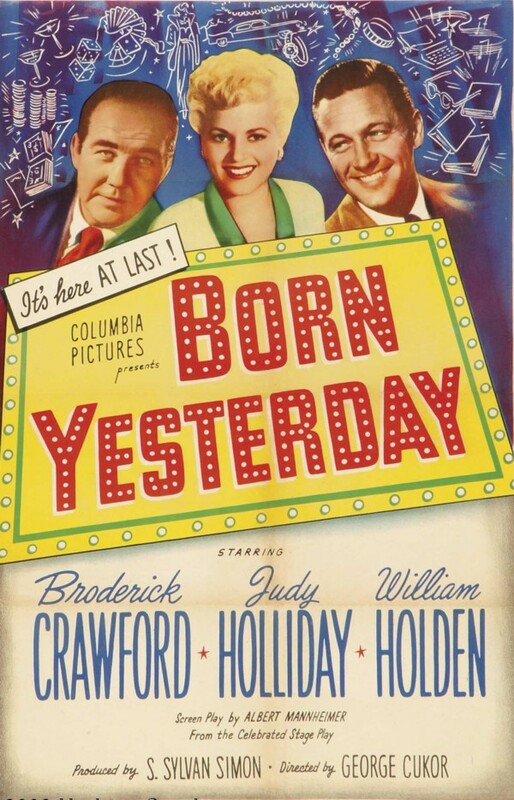 Harry (Broderick Crawford) starts out as the protagonist here, but quickly changes to the antagonist, as Billie (Judy Holliday) gradually becomes enlightened to her own autonomy. I was on the fast-track to really disliking this movie, especially after he coerced her into signing the papers by hitting her twice across the face. The film is categorised as a comedy, and there’s absolutely nothing funny about domestic violence against women. But it redeemed itself when Billie and Paul (William Holden) turned the tables on Harry and threatened to expose him for the crook he is. Possibly the best and the worst part of it all, was that Harry still believed himself to be in the right, so he just couldn’t understand why they would do that to him.